Barnabas Ministries is passionately committed to reaching high risk youth and families with the message of freedom, hope, and healing found only in Jesus Christ. To create an environment where hurting youth and families can discover their value in Christ, grow in that knowledge, and pass that knowledge on to others. G. Our Lord Jesus Christ exhorts us to unity among believers. (John 17). The Statement of Faith does not exhaust the extent of our beliefs. The Bible itself, as the inspired and infallible Word of God that speaks with final authority concerning truth, morality, and the proper conduct of mankind, is the sole and final source of all that we believe. 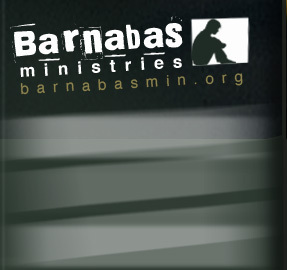 For purposes of Barnabas Ministries’ faith, doctrine, practice, policy, and discipline, our Executive Director – along with the Executive Board of Directors – is Barnabas Ministries’ final interpretive authority on the Bible’s meaning and application. We believe that God created us with distinct sexual identities (Genesis 1:27). As such, within all Barnabas facilities and programs, the identified biological birth gender will be respected. This includes use of any and all restroom, locker room, sleeping, and dressing facilities at all Barnabas Ministries locations. It also includes which of the Barnabas Ministries’ gender-specific programs individuals will be invited to participate in. We believe that every person must be afforded compassion, love, kindness, respect, and dignity. (Mark 12:28-31; Luke 6:31.) Hateful and harassing behavior or attitudes directed toward any individual are to be repudiated and are not in accord with Scripture nor the beliefs of Barnabas Ministries. Barnabas Ministries’ facilities and properties were provided through God’s benevolence and by the sacrificial generosity of its donors. Barnabas desires that its facilities and properties be used for the fellowship, equipping, and discipling of the Body of Christ and to bring God glory, as well as day-to-day operations of the Ministry. Facility and property use will not be permitted to persons or groups holding, advancing, or advocating beliefs or practices that conflict with the ministry’s faith or moral teachings. Nor may any of Barnabas’ facilities or properties be used for activities that contradict, or are deemed inconsistent with, the ministry’s faith or moral teachings. The Executive Director, or their official designee, is the final decision-maker concerning use of ministry facilities and properties. Second, it is very important that Barnabas Ministries present a consistent message to the community, and that the ministry staff and volunteers conscientiously maintain that message as part of their witness to the Gospel of Jesus Christ. Allowing facilities or properties to be used by groups or persons who express beliefs or engage in practices contrary to the ministry’s faith would have a severe, negative impact on the message that Barnabas strives to promote. It could also cause confusion and scandal to Barnabas Ministries and the community because they may reasonably perceive that by allowing use of our facilities and properties, the ministry agrees with the beliefs or practices of the persons or groups using its facilities or properties. This facility use policy covers any and all properties under the Barnabas Ministries’ corporate umbrella. Barnabas Ministries, it’s Executive Director, and Board of Directors, reserve the right to amend this document at any time, by majority vote of current Board members.